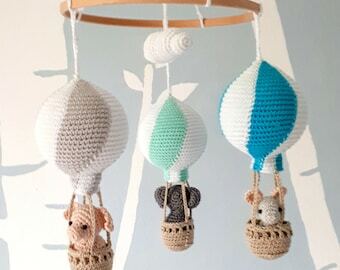 This baby girl nursery mobile is handmade with love and care, using the best quality cotton yarn and a non-allergic stuffing. 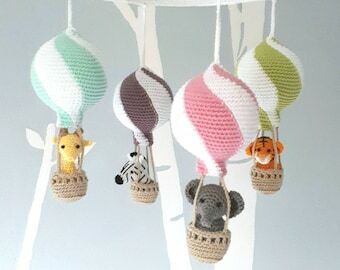 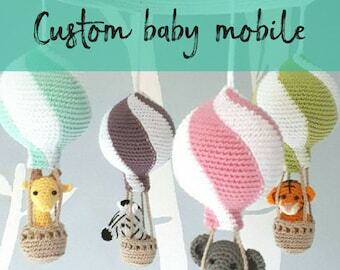 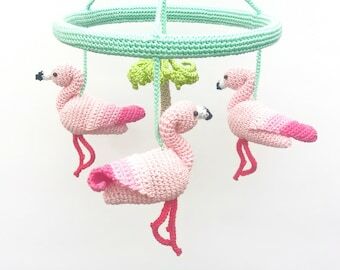 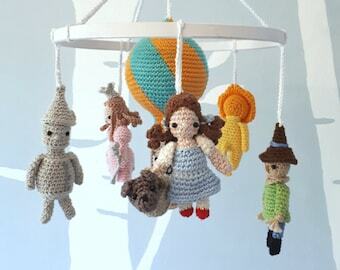 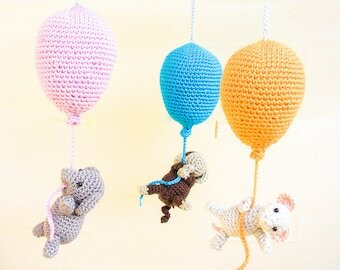 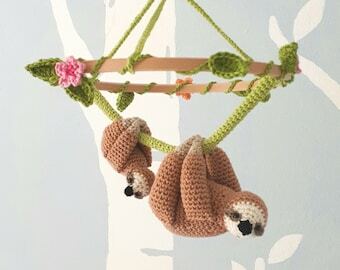 If you have a travel theme nursery in peach, coral, and grey this is the right baby mobile for you. 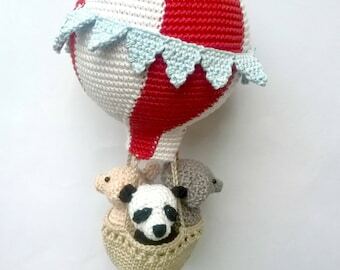 It features three striped hot air balloons in white/peach, white/coral, and white/gray. 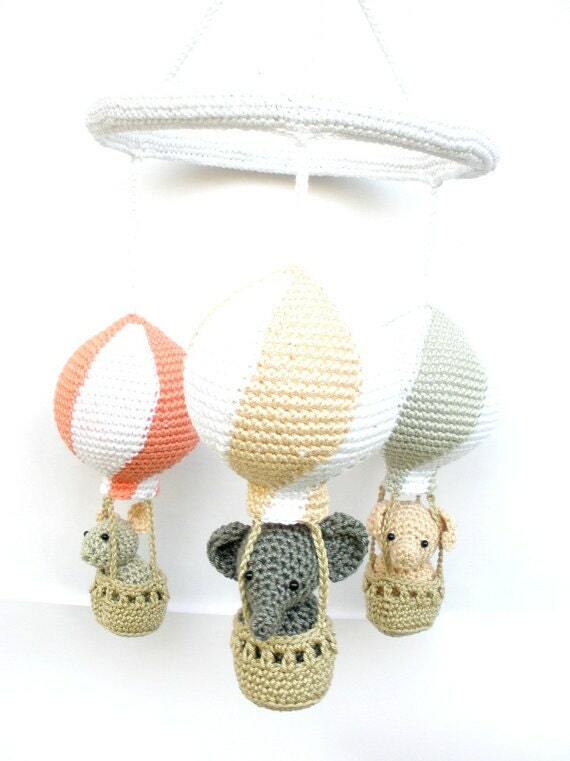 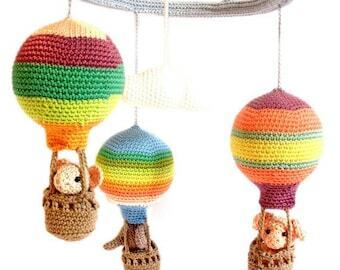 Three cute little-crocheted animals (a mouse, an elephant, and a pig) dangle from the baskets and capture your baby's attention with their sweet faces.